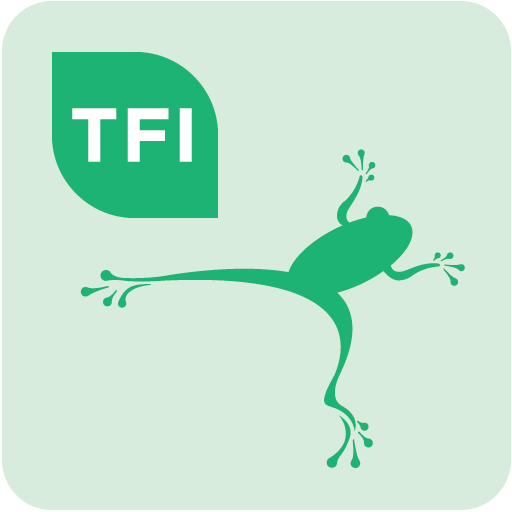 The Real Time Ireland App is available free on Apple App store and the Google Play store. 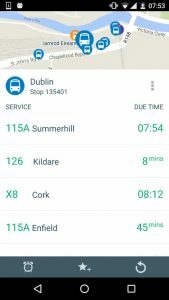 It gives you real time arrivals information for train, bus and tram services throughout Ireland. 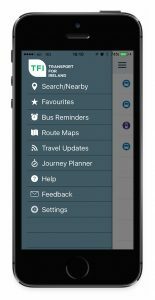 Dublin Bus, Bus Éireann, Go-Ahead Ireland, DART, Iarnród Éireann and Luas are all on the App. You can also click here to use our Journey Planner to check out Real Time Information online. ▶ How does the bus arrival information system work? ▶ What are the factors that may affect the accuracy of Real Time Information? With such an extensive bus system, technical problems or operational disruptions can sometimes occur. Unanticipated problems such as a road closure or a mechanical problem can sometimes affect bus services. Occasional incidents can occur where a street is closed, for example on St Patrick's Day for a march or a big sporting occasion. In such cases, bus inspectors sometimes need to make a last minute change to scheduled bus services and it may not always be possible to reflect this on individual signs. The real time system was developed to respond to service disruptions as accurately as possible however, some disruptions could still affect the accuracy of the prediction. ▶ Why does the waiting time increase or stay the same for a number of minutes sometimes?